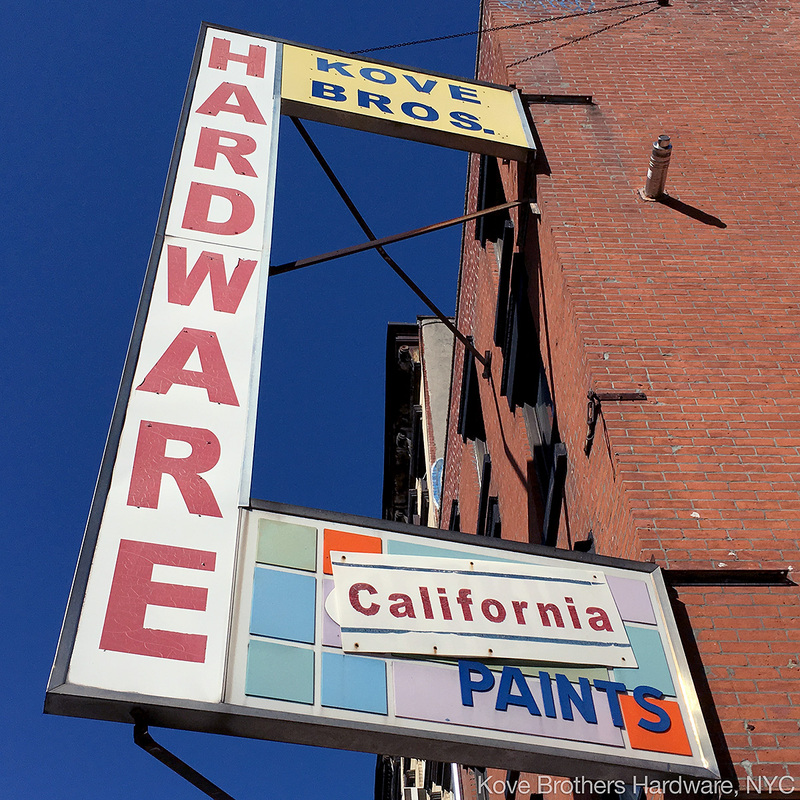 The main sign for our hardware store is a landmark — literally. It can be seen from two blocks away. It’s a two-story tall, vertical, rectangular sign emblazoned with the word “HARDWARE” in red capital letters. The sign is easy to see from a distance because it’s attached to the corner of the building and thrusts out over the sidewalk corner. It’s hard miss. The vertical sign on the building at Kove Brothers Hardware in Manhattan, NYC. 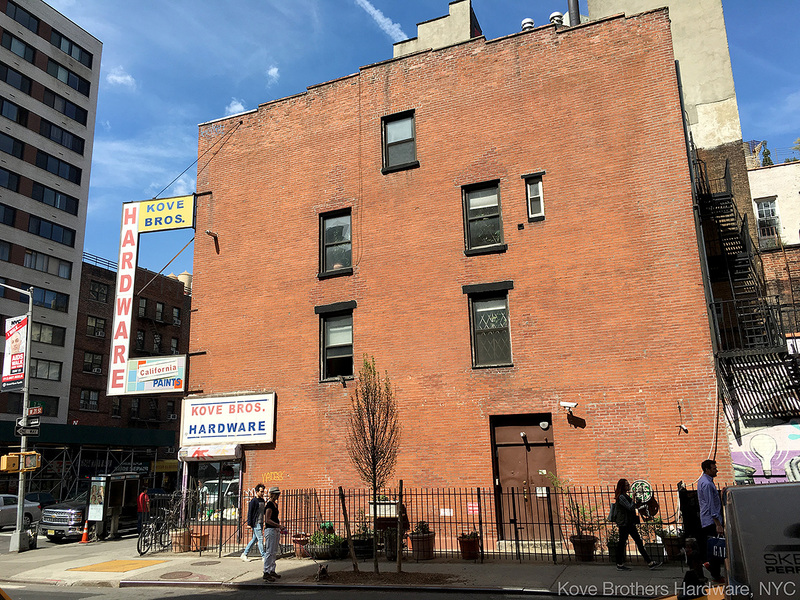 Kove Brothers Hardware on a sunny, spring day at the northeast corner of 7th Avenue and West 21 Street in Manhattan, NYC. 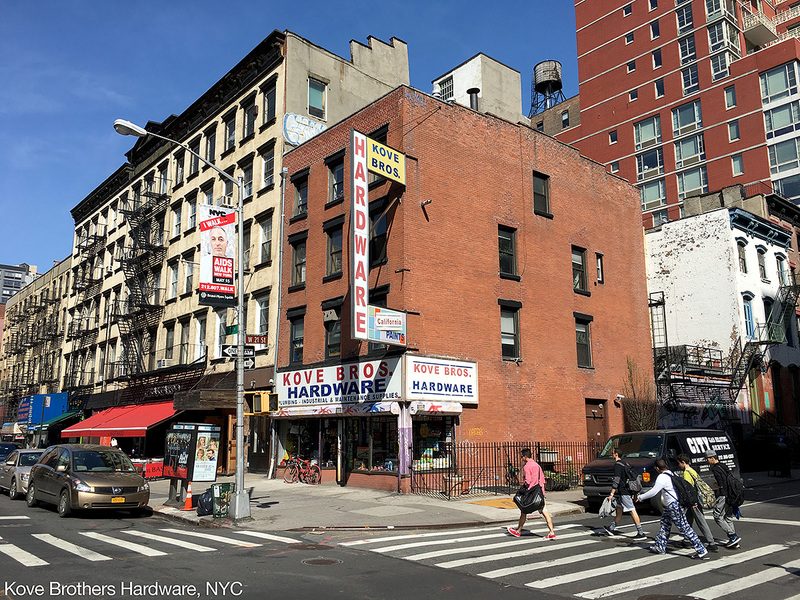 The south (or downtown) side of Kove Brothers Hardware as seen from West 21 Street in Manhattan, NYC. 7th Ave. can be seen in the background to the left. 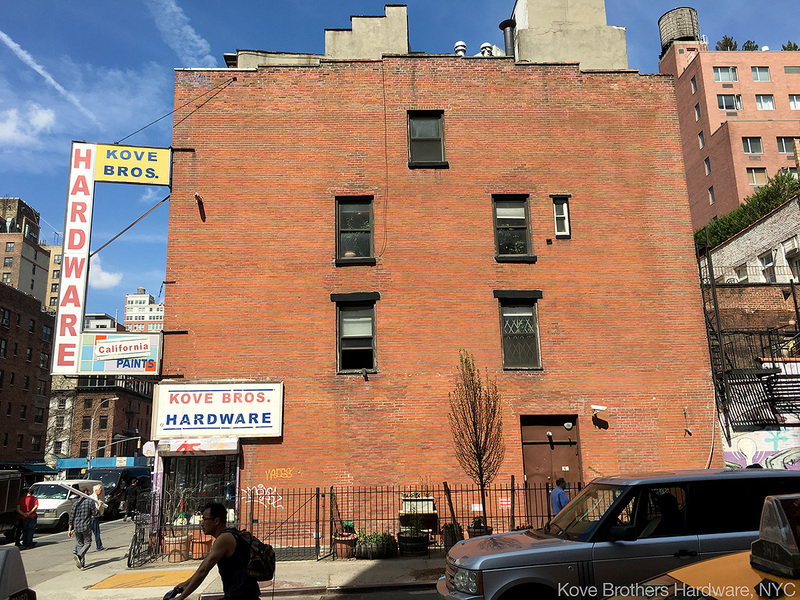 The south (or downtown) side of Kove Brothers Hardware as seen from West 21 Street in Manhattan, NYC.